Ahh, winter. The perfect excuse to stow your gear, crank up the thermostat, flip on the tube and couch-potato the weeks away. Right? With the right know-how and gear, winter becomes your domain. No bugs. No crowds. Glistening landscapes. Pristine animal tracks. Not to mention hot libations to cap it all off. Active Junky’s identified three ways to celebrate the season, each with it’s own risks and rewards. 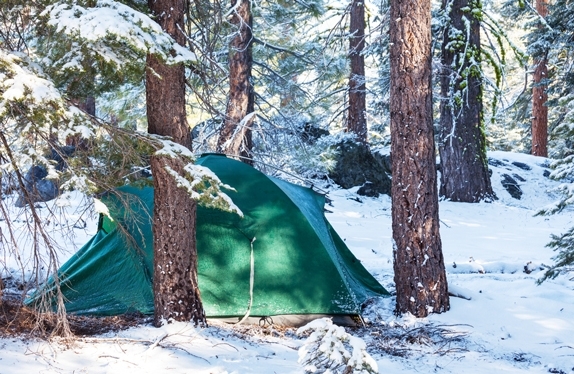 A great introduction to winter camping, cars carry as much burly cold-weather gear as you like. Easy on the back, vehicular adventure is softer on the wallet as well. Cars cut you some slack with “Cheat-Heat” at the turn of key. Wet clothing—a formidable backcountry foe—becomes a survivable problem. Whether you tent it or sleep in your car, cars and pick-up trucks provide bombproof basecamps and give novices a gateway to the winter wonderland. Solid advice on prepping for winter travel can be found here. Hardworking backcountry skiers and riders swap lift lines for lines of untouched powder. 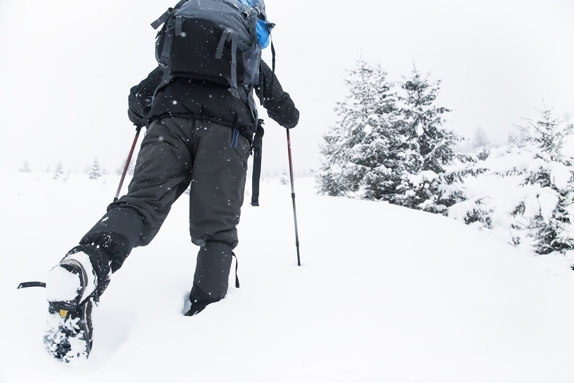 Winter backpacking is the go-to for all types of powder pioneers looking to escape civilization’s hustle. Toting everything on your back means (relatively) easy pack-ups and site switches; this works for travelers looking to cover ground. Again, foresight is key. Skip the celebratory snow angel to stay drier, try to stay sweat-free, and keep moving. Staying dry and maintaining core temperature is imperative. Layers and an on-demand puffy jacket become necessities, as does a reliable thermos. Know the signs of hypothermia and frostbite; everyone should keep an eye on everyone. When built correctly, these are the coziest backcountry basecamp options. 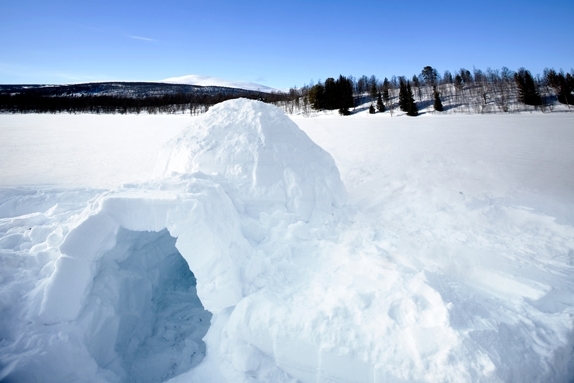 A multitude of designs all take knowledge, practice and the right snow tools; from quinzees and igloos to snow caves and trenches. Time is needed, even if you’ve honed your skills in the front country (or backyard) prior to venturing forth. Some shelter options are found here, all following a rule of thumb: heat rises. Don’t sleep at the low point as that’s where cold air pools. Don’t build your entrance at the top because warm air (from you and cooking) will escape. There’s no substitute for proper backcountry schooling. Depending on your destination, avalanche training can be mandatory. The longer or higher your trip, the more prep is required. Stay tuned for gear and destination recommendations as Active Junky puts you in the center of the action this winter.